Looks like you had a delicious and beautiful weekend. Happy Monday. Fried oreos sound so yummy! And everything tastes better in a mason jar! lol. Yum!! 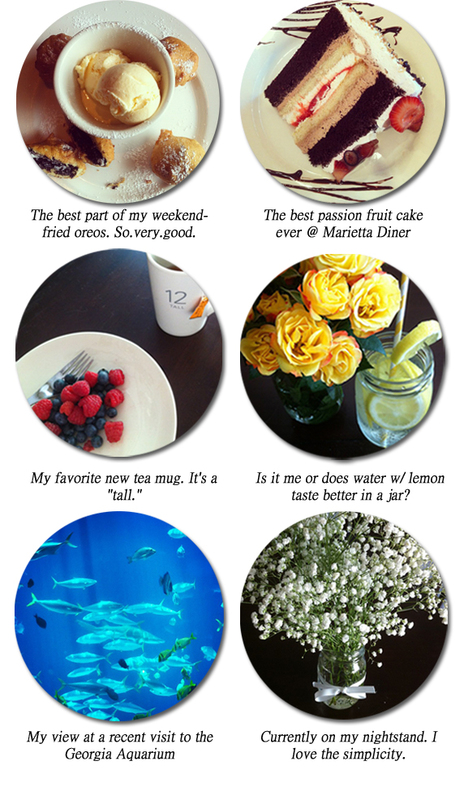 Looks like a fantastic weekend--I have never had fried oreos--but I have heard that they are amazing! Sounds like a definite "must try". Cannot wait to see the reveal and your paint color!!! heart the GA aquarium! I kind of want to swim in the big tank with the sharks. would you do it? !